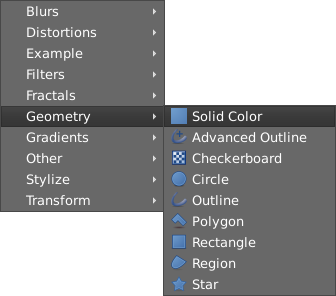 Layers Menu provides menu entries to operate on existing layers as well as a sub-menu that allows creation of any of the possible Layers in synfig. 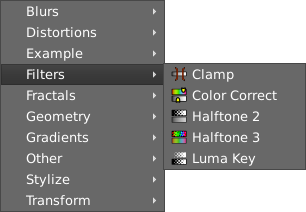 You can obtain a Layer Menu with either a context-click on the Layers Panel or using the Canvas Menu Caret. 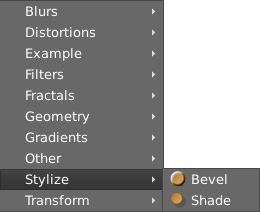 New Layer: It provides a new submenu that allows selection of any of the possible layers that exist in synfig. 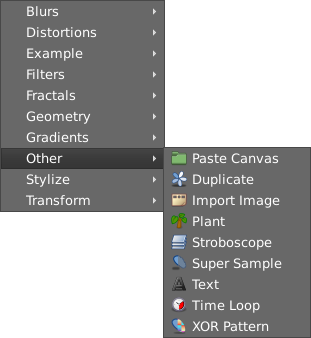 Just click on an option and the new Layer will be inserted. Remember that the layer will be inserted over the current selected layer. 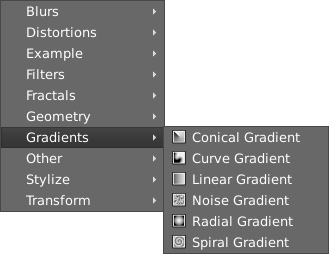 If no layer is selected then it is added at the beginning of the list of layers, i.e. above all other layers. Duplicate Layer: Create a copy of the currently selected layer. 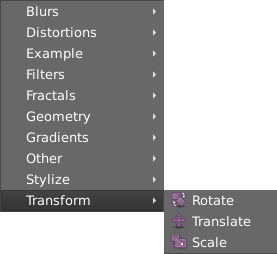 It works also for multiple selected layers. 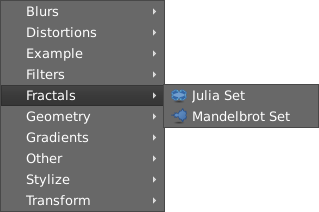 Duplication includes the current layer definition and exported values (keyframes and waypoints). Group: See its own page. See also Reuse Animations tutorial for other application of Group. 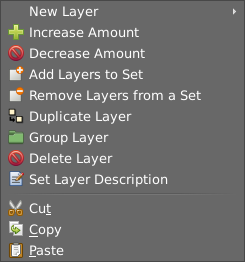 Remove Layer: Delete the layer from the list of layers. There is a keyboard shortcut for that <Delete>. Disable/Enable Layer Rendering: The layer is still displayed in the WorkArea but disabled in the final Render. 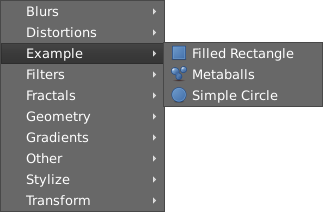 For example, you can use this option when you create intermediate layer to control part of your animation (like the widgets used in particle template) and the Skeleton Layer when created is natively disabled from rendering. Raise Layer / Lower Layer: Moves the layer up or down in the layer list inside of its scope. If a layer is inside a Group Layer layer then it would only allow to be raised to the top of the scope of the Group layer and not higher If you need to put a layer outside of the scope of a Group layer then you should use drag and drop. 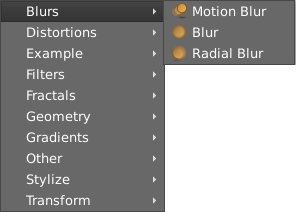 If multiple layers are selected the commands continue working but the commands are shown depending on whether all the layers can be raised or lower at the same time. 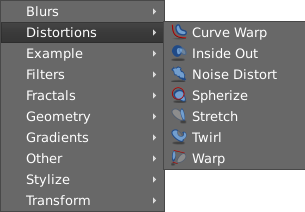 Cut/Copy/Paste: These commands do what they are supposed to do with the currently selected layers. If more than one layer is selected and one of them belongs to a Group layer then, if you select "Cut", the following message pop ups: layer_remove: This layer doesn't belong to this canvas anymore. You can paste the cut layers but you cannot do undo with those layers.